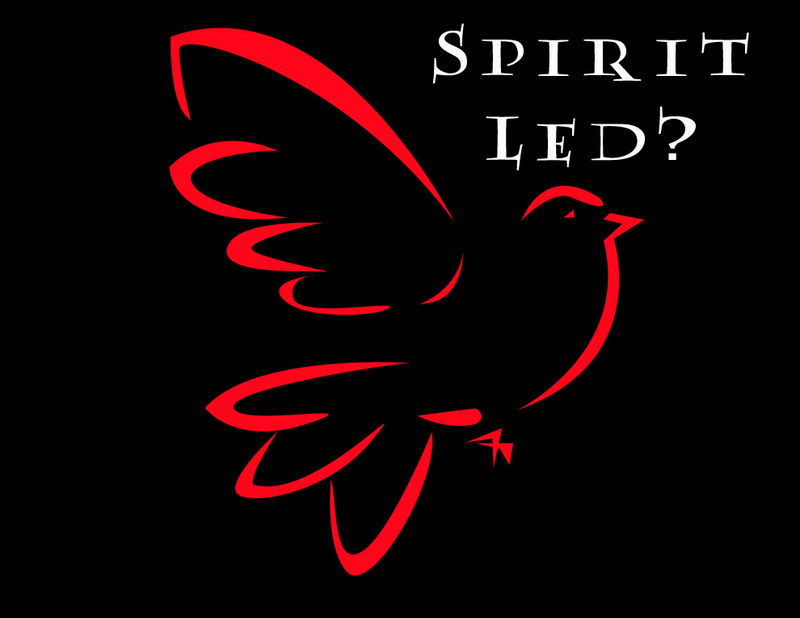 (ver 1.1) This is now Part 12 in a series of very important basic Christian Bible lessons on the subject of Being Led by the Spirit of God. 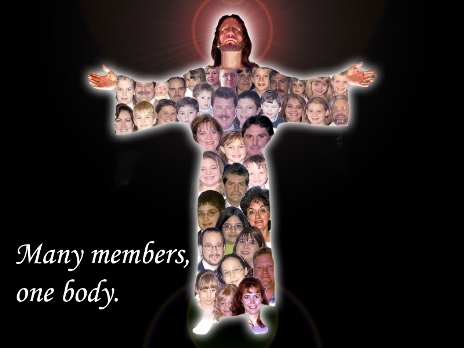 These lessons contain critical spiritual information, instructions, and corrections that are essential and necessary for the spiritual growth of every Christian and they directly apply to all of us in the modern church because we are all in the same body of Christ serving the same God in the same ways as those in the book of Acts. My foundational scripture verse for the entire series is “For as many as are led by the Spirit of God, they are the sons of God” (Rom 8:14). That verse informs us that it is more than just a good idea, more than optimal, more than important, or more than just advantageous to be led by the Spirit of God over those that are not led. Romans 8:14 actually tells us that it is an essential requirement to be led by God or you cannot even be called His child. Jesus stipulated that “If you love me you will keep my commandments” (John 14:15). But commandments from God are more than just reading and obeying the written Laws of Moses. There will always be the written Word of God that we must learn, but there is also an implied direction to hear His current spoken words also. What was written to us thousands of years ago in the Bible still definitely applies and is very relevant, but I believe that what we may need to know is more specific for the right now. How do we grow and what do we still need to learn today, is there anything that we need to change, who do we need to speak with today or to witness to, who do we need to pray for today, where do I need to go today and on and on we could go. Personal direction from God can only come from hearing the Holy Spirit speak on an individual intimate level. That is why I’m teaching about how you can hear from God in the right now. I believe that it is so very important for us to know this subject in great detail. Learn how God speaks, learn when God speaks and learn why God speaks and then expect Him to speak to you. If you are not expecting, then you are not listening. We have covered a tremendous amount of information that will not be repeated so if you have not read this series from the beginning I would suggest that you go and start with “Part 1” first. In recent lessons, I have been moving through the book of Acts and observing the patterns and revelations of how God led the early church to grow and increase in great numbers. I believe that these are great teachings for the end-time church to go up and out on so that we can learn how to reach as many people as we can in the shortest amount of time. 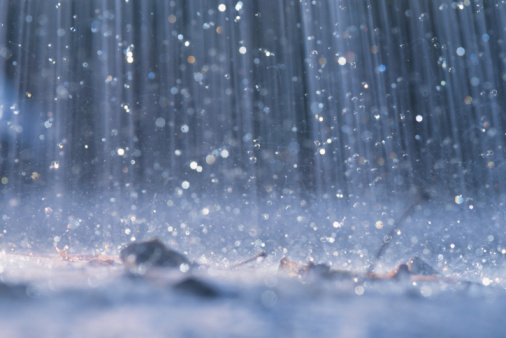 The Bible speaks of the outpouring of the Spirit of God as being like rain (James 5:7, Zec 10:1, Joel 2:23). The Bible also speaks of the Word of God coming down from heaven like rain (Isa 55:10-11). God called for the former and the later rain to fall in their respective seasons upon His people to produce a healthy fruitful spiritual crop. Two things happened in the Book of Acts former rain that stands out above all other facts to me. The Spirit of God was poured out on the Church and as a result God gave them such profound new revelation of His precious Holy written Word that it was unprecedented and beyond comparison. As a result of the Spirit of God being poured out like never before on everyone in the church and the knowledge of God increasing so profoundly, the church grew tremendously. It was a classic cause and effect reality from God. We are now living very near the time of the harvest and therefore we are abiding in the time of the later rain. We are currently writing the final chapters to the book of Acts today by what we do for God. I believe that what happened in the early church rain is what is reoccurring now in the later rain. This is the heavenly rainy season that we live in right now. Learn to get into the rain of God and see if He will not pour out on you a blessing that you cannot even contain. The revelation of God is increasing today like never before. We are to use this information to help the church to grow, to overcome and to unite in His purpose. Get involved in what God is doing and make sure you are standing under the spiritual rain cloud that is being poured out on the church today. In the last lesson I was teaching on Acts chapter 10 and we did not get through the entire chapter. Let’s briefly review what we saw that was happening. I personally believe that chapter 10 of Acts is the most important chapter we have observed on this subject of being led. The chapter begins with Cornelius a Gentile man praying and suddenly seeing an angel sent from God. In this vision, the angel gives him a message from God and tells him to go and find Peter in another city in order to hear another message from God. That right there is a very strange request from God. I guess the angel was not told the real message. What I believe is happening is that God is revealing to us that we are living in the church age. The church was given the delegated authority and responsibility to go and preach to those on the earth to get them saved (Mark 16:15). There is coming a time in Revelation 14:6 where the angels will preach to the people on the earth because the church will already be in heaven. Therefore, I believe the angel in Acts 10 is pointing Cornelius to a church member to hear the Gospel. The angel tells Cornelius where Peter can be found and he sends three men to the city of Joppa where Peter is staying. While the men are on the trip to find Peter, Peter is also said to be praying at the exact precise time and he also has a vision from God that is very disturbingly strange. 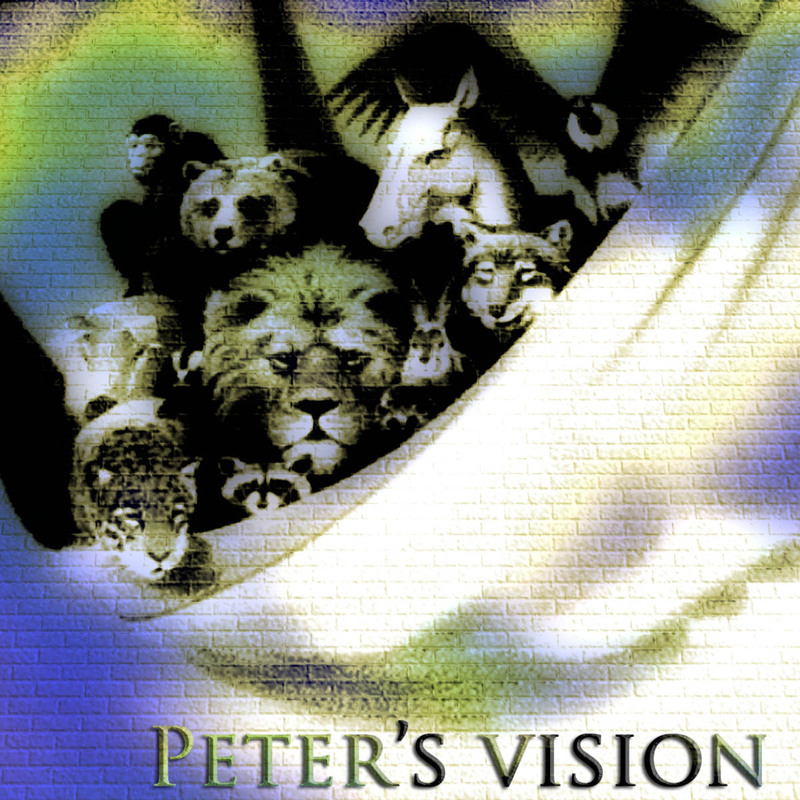 Peter falls into a trance and sees a vision of a sheet being lowered from heaven with every kind of animal clean and unclean on it. Peter is then commanded by God to kill and eat, but Peter knows this will be an offense to his current understanding of the written Law of Moses and he refuses. Because of Peter’s refusal to participate, Peter sees the same vision three times and that is another interesting concept that visions may reoccur, but do not think that they must reoccur. I believe it is wiser to participate and obey the first time that God says something to you. Peter is still contemplating the meaning of the vision when all of the sudden the Spirit of God speaks to him in his spirit and tells him the men sent by God are here to see him. At this point in time Peter does not know what the vision means nor does he understand who the men are and why they are here to see him. So Peter goes down and meets with the men to find out what is going on. What we have just observed is a divinely choreographed and well-orchestrated plan of God that has been unfolding in progressive steps and stages. This is a great example of the wisdom of God in manifestation. Every participant is given only very limited quantities of information to accomplish a single step of the greater unknown divine goal. No one at this point in time knows what God is doing or why they are doing it with Him. This is clearly an example of the people of God being led blindly by faith where God is the only one that understands fully what is happening and why. Of course if God knows what He is doing then we should not really care what He is telling us to do or even ask why. What is going on will always become apparent to us soon enough if we continue to obey. This is just called being a willing servant of God that walks by faith. We can clearly see how the factor of human obedience plays a significant role when yielding to a higher degree of wisdom than we possess. It is also based upon a factor that is called “TRUST” like a child trusts their parents to catch them when they jump into their arms. There is a further implied unstated factor of humility where we must acknowledge internally that we need to be led by God. The success of the whole plan of God is completely dependent upon the faithful participation of each individual involved being led and all of these qualities that I just mentioned play key roles in the successful outcome. If any one man in this chapter drops the ball and does not do or complete what God has instructed them to do, God would have needed to find some new church members to replace them to get the job done and thus the church would have not grown as fast or as efficiently. Here is a good time to confirm why God wants to lead us again. If you are being led by God it is not for your demise, harm, hurt or destruction. Jeremiah 29:11 teaches us that God is always working for your greater good and for a greater purpose than what might be apparent at the time. You should be able to recognize that in Acts 10 as we continue through the lesson to the fulfillment of the plan of God. In this chapter nothing but positive things happen to everyone participating. The Bible clearly informs us that God is FOR US and not against us (Romans 8:31). There are three different perspectives that we can use to see what is written in this verse in Jeremiah 29. First, it can be viewed corporately as a universal statement directed at everyone. Second it can be viewed from the perspective that it was written to others like natural Israel only. Finally it could be viewed as a verse that was written to ME personally. There are ways to reason away any one of the these three possibilities using human logic. However, because the verse does not say who it is written to using a noun qualification, I take it to be a verse that includes all of the above possibilities concurrently. The translators also thought this way because they used the personal pronoun as “you” being “me” the reader to state the truth. I take this verse as a direct quote from God spoken to me. I can understand that this verse was originally written to the natural nation of Israel. But, I then can begin to expand my vision to view it to be a universal truth that crosses over from the natural realm into the spiritual realm to include everyone. Therefore, it is simple to me if I take the truth in this verse to be for me personally. You of course need to make up your own mind if it is for you and do with it whatever you like. If you can come to the realization that it is for you also, then you need to do something else. You need to believe that God has a good plan specifically for you like I believe God has a good plan specifically for me? Your plan is not my plan, and my plan is not your plan. They are both unique and separate while still being equally good for each. If you can believe that, then you have a strong basis of faith with the scriptures to stand upon when you pray and ask God what is your plan for me. Knowing this revelation will give you confidence that when God leads you it is for a positive outcome and for a greater good purpose. Since I believe that this verse in Jeremiah 29:11 is universally true and for me as an individual I can conclude three new things from it that applies to why God was leading the early church in Acts 10. First, God is ultimately interested in the good plan for growing the church as the single whole body of Christ on the earth. This is what I will call a “ONE” church body approach to understanding the scriptures. Since I believed that Jeremiah 29:11 was for individuals and I view the body of Christ as an individual corporate body I believe God’s good plan must include us all as one group. I’m not going to teach you about the church being one body found in the scriptures today so if you do not understand that truth then you should do a separate study on the subject. Second, I believe that in order for God to grow the church that God must also be interested in helping all of the members in the church to grow up spiritually to learn how to be led by Him. What we have again is an approach that if one part of the body is ill, then the entire body is ill. You cannot cut off one part of your body and still be a whole person. Again I can see how God’s GOOD plans for the church are both individualized and simultaneously incorporated for the good of everyone for a unified positive purpose and outcome. I hope that you understand these concepts, because I do not have time to go into them in great detail. Last but not least I believe that God is interested in blessing you in the natural realm so that you can become a blessing to others on the earth in the natural realm to get them saved. Here is where church growth corresponds to human growth cycles. When a natural child is born into the world they are very small, weak and need assistance to survive. As their body develops they are increased in mass, strength and ability. These concepts can be transferred to the body of Christ. I believe that our church body is in a growth cycle right now and we are reaching out to those that are not a part of the body to help them to be added to the body of Christ. This is only possible while we are all still in the natural realm. If you die or they die then it is too late for each of you to participate in the increase to the body of believers. I can see all three of these things occurring in Acts 10 and I hope that you will also agree with me on them. WHAT IS A GOOD PLAN FROM GOD? 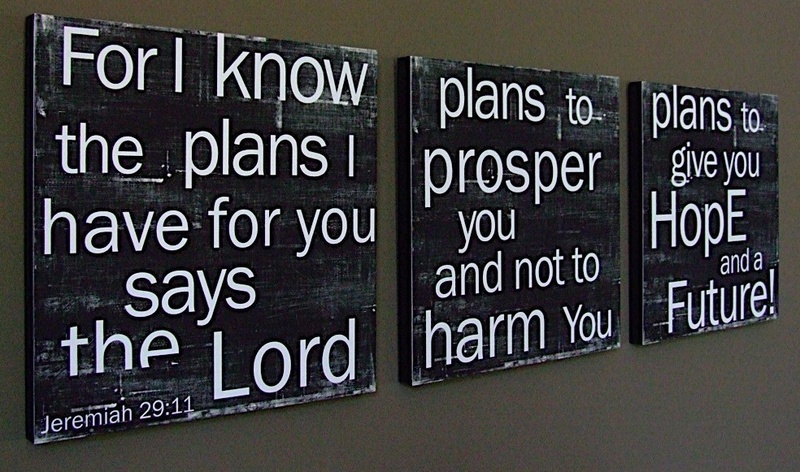 Jeremiah 29:11 informs us that God has good plans for His people. 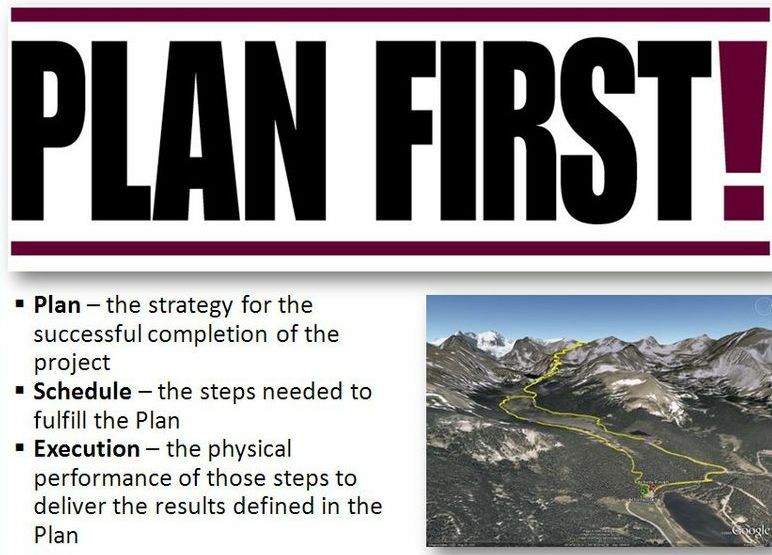 What exactly is a plan? And what makes one plan good and another one not good? One definition of the word plan is a design or a scheme of arrangement. We might be able to view a plan as a set of project specifications. This is a concept that transfers to many things in the natural to be easily understood. A cook uses a recipe to create an edible delicacy which is tasty. A seamstress uses a pattern to create a dress that will knock your socks off when you see it worn. An architect creates a plan called a blueprint design with architectural diagrams to build a great building that we can live and work in. These are all designed stepped approaches to the creation of things in the world. These are all good planned approaches that benefit people in some way. No plan that I have just mentioned was intended for anyone’s harm or demise. However, you can clearly see how that any plan can be changed or modified to become evil. Good and evil are basic concepts found in the Bible. The Bible tells us that God is good and that Satan is evil. We should be able to conclude that God’s plans are for our good and Satan’s plans are for our hurt. This is really not that complicated, but Satan has used people’s human reasoning to try shift all plans to God’s control and that is a great error in judgment. Does every plan on the earth automatically come to pass exactly as planned? If you have ever been a project manager you know that they do not. Rarely does a plan occur without a problem. Now, consider what if it is God’s plan for your personal life? Does that mean God’s plans for you will automatically come to pass just because God is omnipotent and controls everything that happens to you? Again, it certainly does not! If that was true it would be totally unnecessary to be led by the Spirit of God and we could just all sit back and let Him do everything. The requirement to be led by the Spirit of God dictates that every plan of God does not automatically transpire. All of this means that you need to first learn what the plan of God is or at the minimum learn what part of the plan that God wants you to do and then follow God’s instructions to fulfill it. What I am doing is attempting to go through some side trips that are informative enough to try to help you understand why things occur. Every plan is not good and every good plan does not always come to full fruition. So why do bad things still happen to the good church members in Acts and to the people on the earth still today? We clearly saw Stephen being stoned and others being thrown into prison in Acts. There was definite persecution being leveled on the church by the Jews. I believe that there are possibly multiple reasons for bad things happening in the world to good church members. First the existence of evil in the world remains ever present and it will not be taken away until the time has been fulfilled. Understand that the world that we currently live in had a set beginning which requires a set ending by definition. Satan the initiator of all evil now understands the concept of the timed ending and he knows that his time left is growing rapidly shorter so he is intentionally stepping up the evil in the world and he is not trying to reduce it. Second, the whole concept of being led by the Spirit of God was a brand new idea that had just been initiated by God in all of the church in Acts 2. Previously in the Old Testament God would lead one man and they would hold the responsibility to lead everyone else. Today in the church we have a radical new concept where God says that He will lead everyone individually, corporately and simultaneously. Being led by God is not an automatic spiritual skill that everyone understands when they become a Christian. In fact it is actually the opposite. Being led by the Spirit of God is an acquired spiritual ability or we could also say a learned spiritual skill as we can clearly see in the experiences of those in Acts 10. Normally humans are led by their senses, their experiences and their human reasoning. All of these are enemies to how God leads us by our spirit and we have to make the transition from these natural ways to be successfully led by the Spirit of God. No one in the book of Acts is yet an expert at being led by the Spirit of God. Everyone is still growing up spiritually as God teaches each of them. Keep in mind at this time there is still no New Testament Bibles that exist. Everything being taught by the church is from the Old Testament and these are concealed words about a hidden Jesus and the many other spiritual things that were just being revealed and taught for the first time by God. So the people in Acts are like the people today. We are all still learning to be led by God and we all still growing spiritually as we hear from Him. Like those in Acts we are all still imperfect men and women with faults, weaknesses, emotions, sense feelings, and the same oppositions, persecutions and distractions as they faced. Therefore, between the continued presences of evil in the world working with the fallible human condition of men in the world both continue to contribute to why bad things still happen to Christians. What we have seen so far in Acts 10 is God’s usage of at least 4 or 5 different communication methods over the course of several days to accomplish the greater plan of God while simultaneously teaching the church how God operates to lead them. I have noticed that God is intelligent enough to multi-task and He is more than able to accomplish several stated goals with a single threaded process. This is one of the greatest examples in the Book of Acts that I have seen so far of how the Sovereign God works in conjunction with the imperfect people on the earth that have the freewill option and choice to listen, hear, understand, choose and to obey Him. We have clearly seen that God gives us all limited instructions in progressively sequenced steps to cause every participant to walk by faith and not by their own individual sight, knowledge or understanding. I call this God’s modus operandi or method of operation. It is how God operated with the early church and it is how God operates with us still today. Think about the story in Acts 10. If God would have told Cornelius everything from the beginning using the angel there would have been no need for any messengers to go get Peter. There would have been no need for a Peter the preacher at all. If God would have told Peter everything that was happening, then he would have also not needed to go down and talk to the men from Caesarea or go and preach to Cornelius. Cornelius would have not needed a Peter and Peter would have not needed a Cornelius. These are clear examples of how the individual people in the church should be working together in unison to accomplish the greater goal of God. In other words no church member is an island that can stand alone in their own personal ministry isolation. God does not call any church member to live in solitary confinement. God called no Christian to be a Robinson Crusoe type of believer living in a monastery. If you think you can live a full Christian life like that then you are deceived. If you think no one else needs your participation then you are deceived. These are some of the greatest examples of God using ordinary people like you and me in the church. You see these are verses that people today ignore because they do not understand what they say or mean. God is teaching the church that the outward mark of the flesh is not what makes a man a Jew anymore. God is revealing that the outward circumcision was only given to teach them all about a new inward circumcision of the heart that makes us all a brand new kind of Jew. Uh oh? What did I just say? Do you see why people still struggle with this revelation? We will discover that the early church had this same difficulty when we get to chapter 11. There was a huge movement in the early church by some Jewish believers to try to get all the new Gentile believers that came into the church to be circumcised like they were in their flesh. These Jewish Christians were thinking carnally and naturally that in order to be fully saved it required everyone to do something externally to keep the law of God. What God was doing is revealing that the natural things that He implemented under the law with Abraham only pointed them to the real spiritual things that ONLY God could do in the spiritual realm. The Bible says that no one will ever be justified by the works of the law (Gal 2:16). The circumcision of the heart (spirit) first started happening in the beginning of the church age as men received the Spirit of God. This same circumcision of the heart that only the natural Jews had received is now being expanded in Acts 10 to include all of the Gentiles that believe on Christ also. You cannot see or even understand the spiritual things of God and how they work without first understanding the natural things and how they worked. This is why God does the natural first to teach us about the spiritual works of God. This is really not that complicated yet many Christians still stumble over it constantly. Act 10:28 And he said unto them, Ye know how that it is an unlawful thing for a man that is a Jew to keep company, or come unto one of another nation; but God hath shewed me that I should not call any man common or unclean. Here is a very classic example of how people can believe they understood what the Bible said and totally miss the real meaning until God reveals it to them. There was a strict literal natural interpretation of the law that said that no Jew could associate with a non-Jew. We could read this in the Gospels when the woman at the well was shocked that Jesus was talking to her a Samaritan (John 4:9). The natural Jewish religious leaders took this law to an extreme and fell into great error with it. Jesus understood what it said and knew it did not mean what they thought it meant. Taking any truth to an extreme is one of the greatest dangers to believing a lie. Peter in the presence of Cornelius begins to understand the vision from God. The new revelation from God was being taught that these uncircumcised men in Cornelius’ house were chosen by God and they were not the kind of men that God was saying not to associate with in the law. This was really an incredible new way to look at an old written rule. What God is doing is differentiating between natural truths and spiritual truths, natural laws and spiritual laws, and natural people and spiritual people. The natural Jews looked at this law as meaning one thing and now the church is being taught to see it with a completely new way of thinking spiritually. This quite literally proves that what we sometimes thought to be the truth is not always the truth in reality. Cornelius begins to recount to Peter what God had done and what was told to him by the angel. God is now connecting the dots to allow everyone to see the bigger picture plan of God. Notice again that there was a span of 4 days that these events have transpired on. As you read down you will see Cornelius explaining what the angel said to him and how he was instructed to go to Joppa to get Peter to hear the message. This is now the second time we are told what God is doing in this chapter. Whenever God tells you something more than once it means it is very important and you better learn what is going on. It is a lot like when Jesus said “Verily, Verily”. Anytime there is repetition there is intended importance and emphasis. Act 10:33 Immediately therefore I sent to thee; and thou hast well done that thou art come. Now therefore are we all here present before God, to hear all things that are commanded thee of God. I like the term “immediately”. Immediately denotes the factor of timing to be potentially critical to the entire process. If timing did not matter, God would not have told you about it. I believe that many times if there is a delay in doing what God has said we might just miss what is happening in God’s plan. Of course God could change the course of timings and if Cornelius delayed sending men to Joppa there could have been a delay of Peter praying and getting the vision. However you may remember that Peter just so happened to be hungry when he was praying so the timing of events appears to be critical for the whole process. Both Cornelius and Peter prayed at the exact set precise time for each to accomplish the plan. The angel appears to Cornelius at the specific set time needed. The men are sent to Joppa and they travel a set specific time that corresponds with Peter’s prayer time. God gave Peter a vision about food and eating a meal at the precise time he was hungry. The men from Cornelius just so happen to show up where Peter is at after a day’s journey and their arrival corresponds exactly after the vision was just completed. God just so happens to tell Peter they are there and on and on I could go. I feel that timing was an essential factor to getting the plan of God to happen in the exact order and sequence of events. If any participant delayed and did not do what they were supposed to do, would the plan of God still have fallen into place so precisely? That is a very interesting concept to consider. It sounds like to me we need to become aware of God’s timing and try to follow Him very closely. For example, if God tells you to wait five minutes before doing something, it is probably best to do it. You do not know what will happen if you do not do it and that is the risk of being disobedient. If God leads you only for your good, not being led by God could result in something evil happening to you. If God tells you now to do something and you do not, you also just might be missing out on the blessing that God was awaiting to give you. Keep reading in this chapter and see the blessings of God that are being poured out as a result of everyone being led by the Spirit of God. In Acts 10:34 through verse 44 is Peter’s sermon to the house of Cornelius. I will not go over the sermon, because it is basically the Gospel of Jesus foretold through the prophets. This was the same outpouring of the former rain sent down from God in heaven. The Holy Spirit was given to the Gentiles almost in the exact same way as He was given to the natural Jews in Acts 2. If you read Peter’s sermon he makes this revealed statement “I perceive that God is no respecter of persons”. What Peter was referring to was that it was not the external circumcision of the flesh that determined what the internal man could receive from God. To perceive is an inward increase in spiritual understanding. It was the revelation that God was revealing to Peter through the leading, the vision, the angel, the men in house of Cornelius and the other works that we have witnessed. All of this was the greater plan of God for the church from the beginning, but it has taken God almost 10 chapters of Acts to get it implemented. Cornelius Prays to God in Caesarea. Cornelius has an open vision of the angel. Angel was sent from God with instructions to go get Peter in Joppa for a message from God. Cornelius sends three men to Joppa to get Peter and takes over a day to get there. Peter was praying in Joppa at the precise time when the men neared the house. Peter was hungry while he prayed. God gives Peter a closed vision three times that needed interpretation to be understood about eating unclean animals. The Spirit of God speaks to Peter after the vision and tells him men sent by God are here to see him. Peter goes to Cornelius house and preaches the Gospel. While Peter is preaching the Spirit of God is poured out on the Gentiles and Jewish believers witness it and are amazed and perplexed. As a result God adds to the church the Gentile people. Notice what is happening. God is never revealed to do the exact same thing twice in this entire process (with the exception that Peter was given the same vision three times because of his refusal to participate) proving God’s ways are not always our ways of doing things. People like to do things out of repetition or habit, but that is obviously not God’s way of doing things. God uses at least 5 different displayed methods to lead His people in one process plan. Everyone involved is required to walk by faith. Everyone involved benefits, learns, grows spiritually and the entire church of God also grows and increases in numbers. These are fundamental facts that are essential to grasp. These are some of the key ways that God will lead you and me to work together today. I go many times to listen to a man of God and will hear something new from them that helps me learn something else new from God. God will use one preacher to say one thing to someone and another preacher to say something else to the same person and all of this causes us all to grow together. If at anytime the people in Acts 10 wanted to isolate themselves and not participate with the plan of God it would have not been accomplished. Sometimes God’s plan will require you stretching out beyond your four walls to go to someone else to hear the complete message from God or give them a message from God. Begin today by praying and see what the Spirit of God says for you to do. If we are not praying we are probably not hearing from God as we should and getting directions that we need for today. Thanks for studying the Bible with me on this important subject and hopefully we can move to another chapter in the next lesson since we have spent so much time in this great chapter. Stay hungry and thirsty for more of God and God will bless you with more of Him. If you wold like to cotinue reading in this series you may go to “Part 13“. Posted on February 12, 2012, in Bible Basics, Bible Study, Understanding and tagged Being Led, Bible, Christianity, Church, God, Holy Spirit, Jesus, Religion, Truth. Bookmark the permalink. Leave a comment.